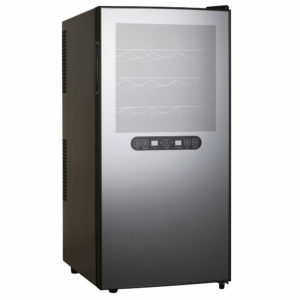 • Low noise, only 34 dBa! 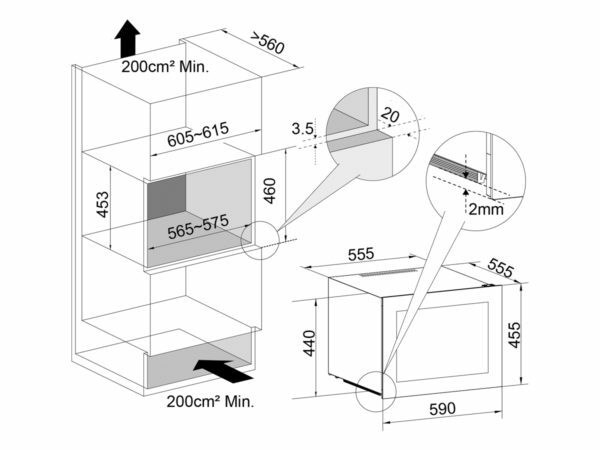 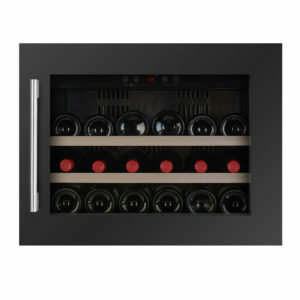 Wine cabinet for built-in-column. 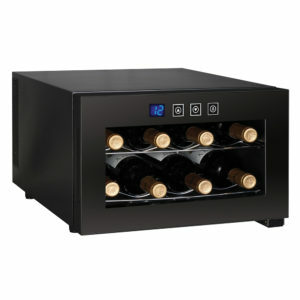 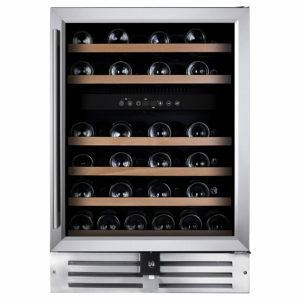 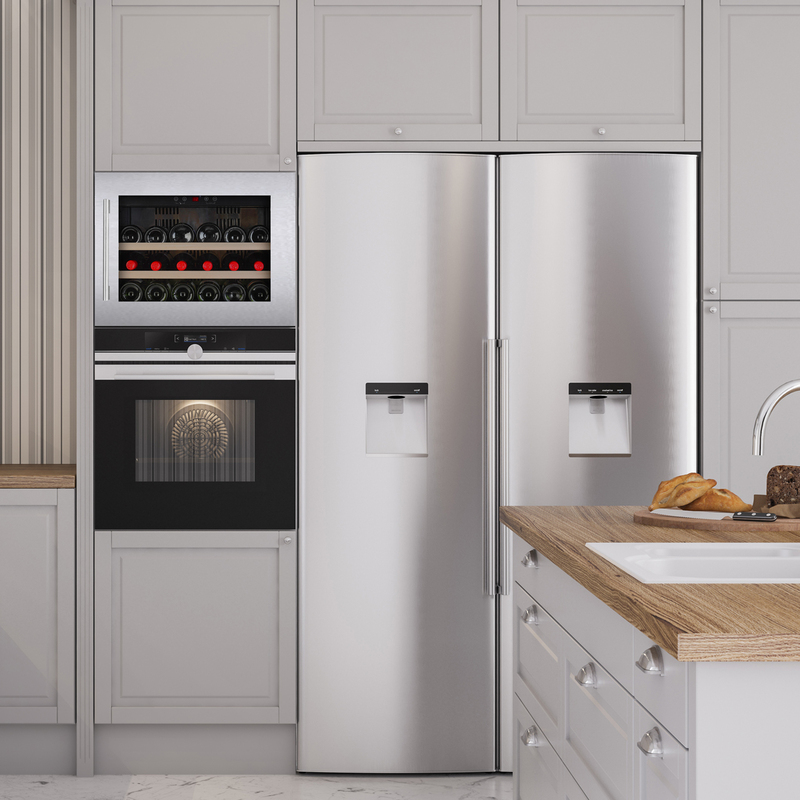 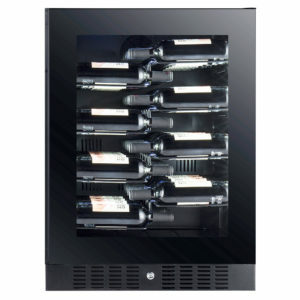 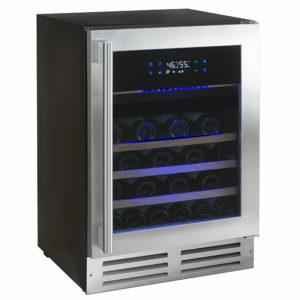 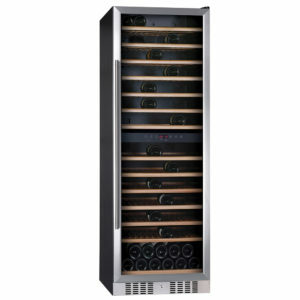 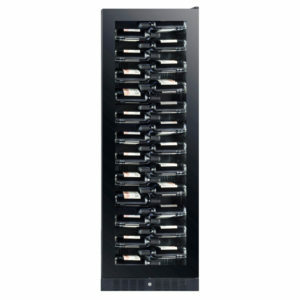 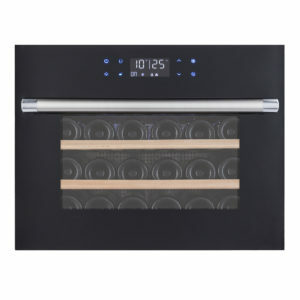 Single temperature zone (5-22 degrees) with space for 18 wine bottles. 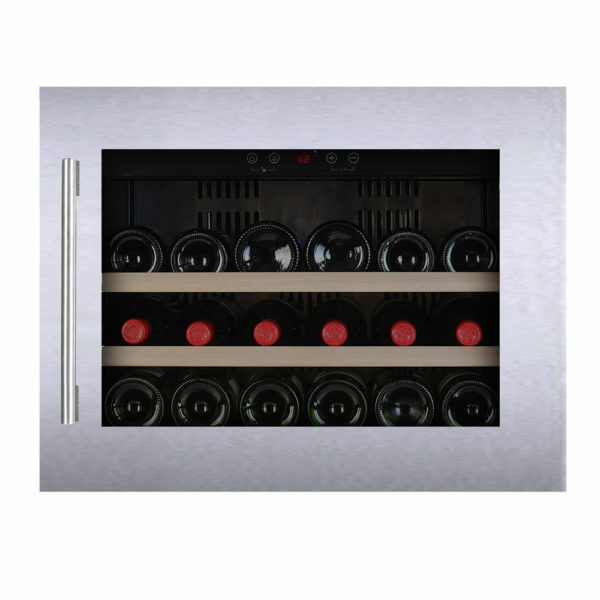 Two retractable wood shelves give a good overview of the wine bottles. 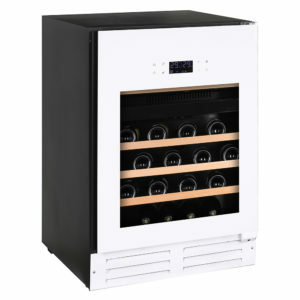 White LED lighting and touch panel to adjust temperature and light. 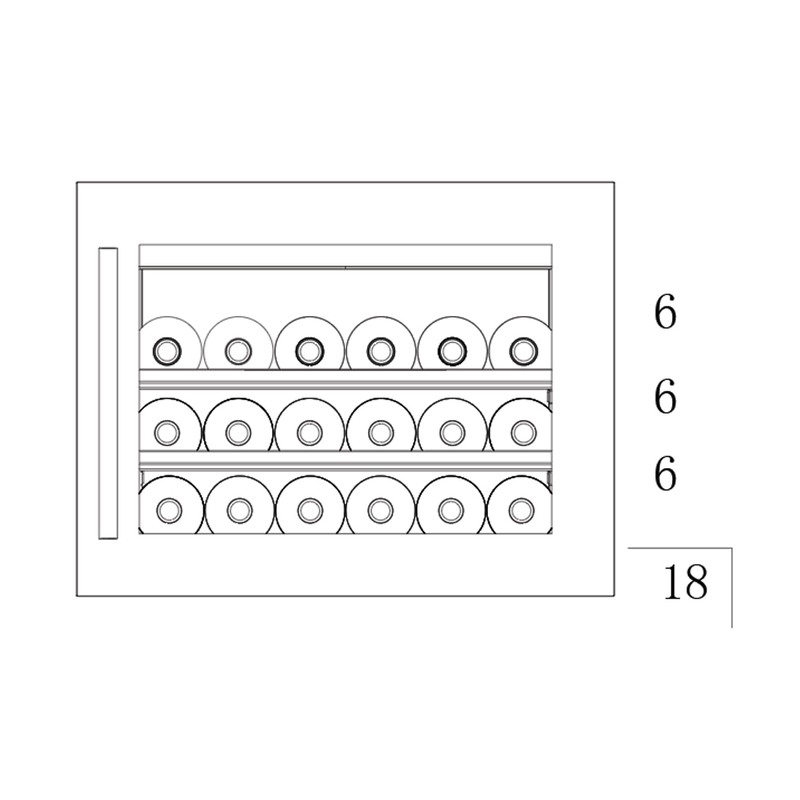 Low noise with only 34 dBa and energy class A+.